This is a fun pattern because you get to choose the theme from 18 different selections. I chose the Easter theme for the baskets in the pictures above. If this turn out to be a popular download I'll come up with more themes in the future. The theme pieces are cut with a tab on the bottom so you can make one basket and change the theme as you like. Just pull the theme out of the slot in the basket and push in another one. The baskets are small. Only about 4 1/2" long so they can be cut from scraps. 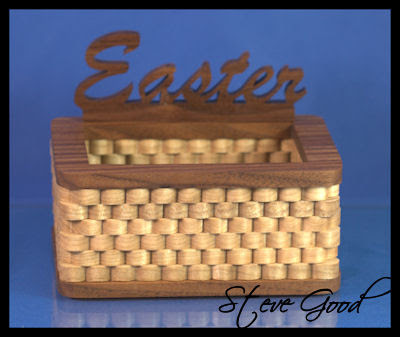 The basket weave is very easy to cut. There are six layers. Three of each weave. If you stack cut the three like pieces you can cut all six weaves in two cuttings. I cut the basket in less than an hour including the two themes. I also included a blank base so you can create your own themes. Have fun and send me a picture if you create a nice theme. One trick that you might try is to use my Scroll Saw Pattern Printer, which you can download from my blog to print names as you template. After you type the name just play with the size slider until it prints 4 1/2" or less. 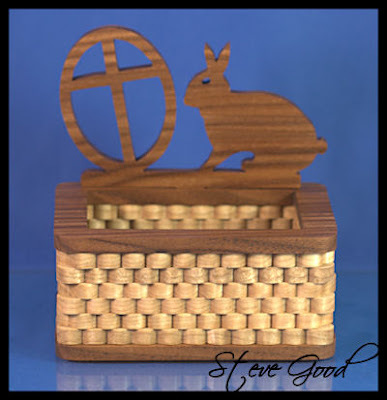 Add a tab to the bottom center and you will have a customized basket. That should make a great gift. I wanted to do a post to show the work of Ron Haigler. Ron has only been scrolling for three years but he has developed a wonderful technique with his portraits in that short time. 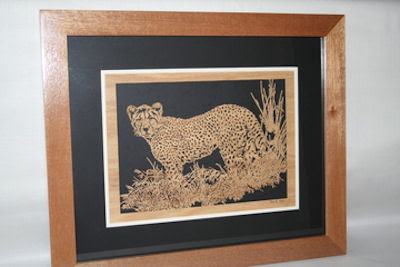 He uses a Hawk G-4 scroll saw for his pieces. He also does his own mat and frame work. 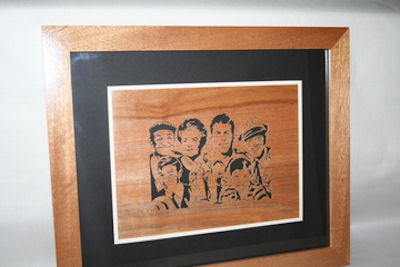 I think he has added a great deal to the portraits with his customized frames. 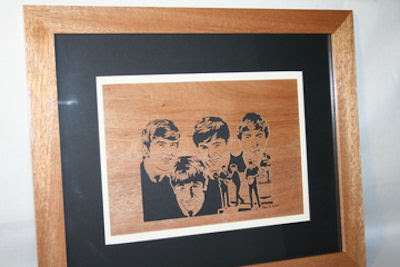 The black and white mat with the simple but beautiful wood frame is great. 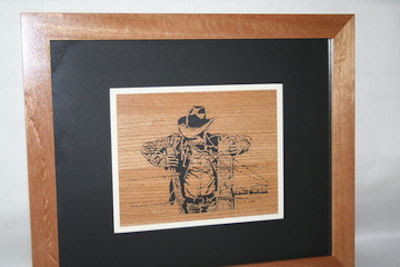 The proportions of the frame, mat and portrait are just right to my taste. 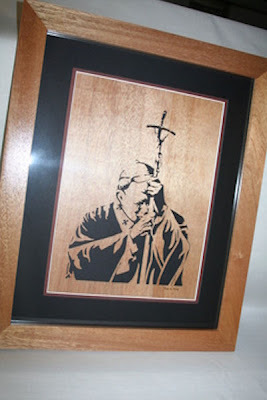 In my opinion this is a good lesson for anyone who wants to take their scroll saw work to the next level. The presentation is as important as the art itself. Proper presentation can take what most would consider craft and turn it into a piece of art. Beautiful work Ron. Thanks for letting me share your art with all my readers.